The Internet is like a spiders web, it connects people with almost invisible links. The problem in listing and talking about my friends here is that I might miss out a few. This is not done intentionally. AND also This page will need updating from time to time as I make NEW friends, If anyone feels left out please tell me and I will rectify it later. Those who have a website that I know about I have made their name a hyperlink. It was summer 2000 that I first “found” Yahoo Groups., I joined a number of groups which I had interests in. Vegetarian, Vegan, Philately, Birds, weather, nature, cats and BEATLES. After a while after leaving messages in several, I “discovered” Yahoo Messenger, and hence my life changed! I found people who would talk to ME! What was nice was that AGE did not seem to matter in the majority of cases. I was always honest about my age. My next long term friend was Rachel from Colorado. She was quite different to Jess, she was a MASSIVE Beatles fan, and at the time she was the owner of the largest Yahoo Beatles club/group. She is a year younger than Jess, and also a vegetarian, and started her own veggie Yahoo group with the apt name of “Lettuce In the Sky With Diamonds”. It was through this group that I met my third and fourth long term Internet friends (more later). Rachel came over to England in 2001 to a college in Croydon, near London, as she had to stay over in UK for the Christmas break we invited her to come and stay with us. She then had to “endure” a Vegan Christmas (which as a vegetarian was not a difficulty!) and a train trip to Liverpool, a special trip to see Beatle Land in person. I always remember our first conversation about how she HAD to visit Liverpool! Well we were glad to make her wish come true. Since then Rachel has changed her name to Allex, and we are still in contact, though not very often. Another long term friend is Anna-Marie, who is called Pet, from Texas! I came across her in Katie's Weather Group. I found she was also very interested in drama. Pet was actually the first Internet friend from abroad that I met. In Summer 2001 she was chosen as one of a group of Texan students to tour the UK on a friendship tour of the British Isles. We met her, and a few of her fellow students at the open air museum in Durham, a whole village! Danielle from Western Australia was probably my next long term friend. Not long after Rachel set up her Lettuce Group, Danielle started her “In The Veggiepot” group. I was one of the first to join. I remember her opening remarks very well, about how she was a rather lonely vegetarian in a sea of hearty meat eaters, that was why she started her group, hoping to meet or find other Australian vegetarians. So I did a bit of searching in the Yahoo lists and found a number of Australians who were vegetarian and I invited them to join her group. One of these is now another of my best Internet friends Adam, and He and Danielle became very close friends. I gradually got to know Danielle very well. She was 16 when I was 61, and I claimed I was a REVERSE teenager. But it was her approach to life and her mature caring attitude for others and the environment and animals that made her feel like a daughter to me. She herself was facing more emotional problems than I had first realised, and she went through a really tough time about a year later. Now she has overcome those difficulties and is working flat out at University, and is doing well by all accounts. The other friend who I met at about the same time was Melisa from Argentina, an other massive Beatles fan who was also an ardent Vegetarian living in big meat eating area. She too has now entered the world of university education and is working hard. She has an interesting website. 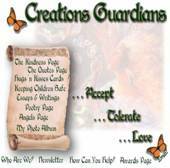 The link to her site is found in the top right “award” to me by Melisa for my website, THANKS MELISA. Just click on to the picture, and you will be at her beautiful site. Her native language is Spanish, but I would never had guessed, unless I knew!. Any who can converse naturally in a foreign language amazes me! Since I started making new friends some have become real friends, and some I have met. Those who have websites are linked here.